Synergy is a data mining application that automatically builds and validates market timing models. Models consist of function blocks that are chained together. Model parameter values and ranges are determined using particle swarm optimization applied to data over the build period. The challenge when data mining is determining if resulting models are robust and likely to work in the future versus models that just happen to fit the training data. Synergy features automatic model validation and an ensemble report that enables you to determine if the input data is useful. 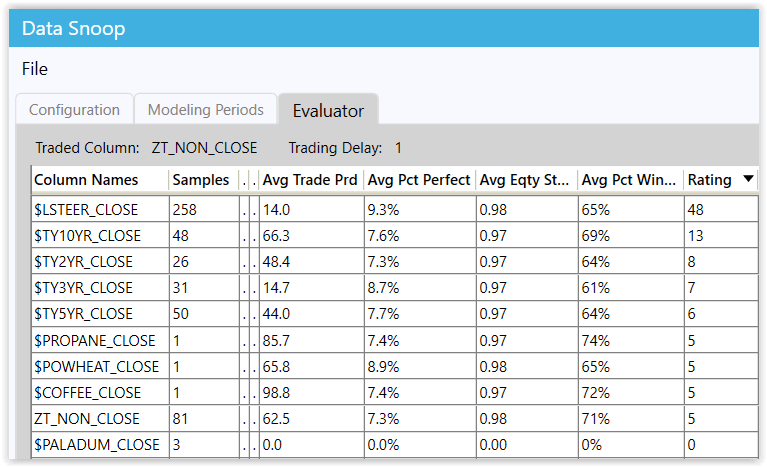 The Data Snoop is used to identify which data series are useful for modeling a given traded series. A relatively high number of samples combined with a high rating is an indication that the data series is useful. The Data Snoop makes the laborious task of collecting and analyzing your data as easy as clicking on a few buttons. Identifying and modeling intermarket relationships is key to building a portfolio of diverse and robust models. The greater the diversity amongst your models, the greater the probability of success. 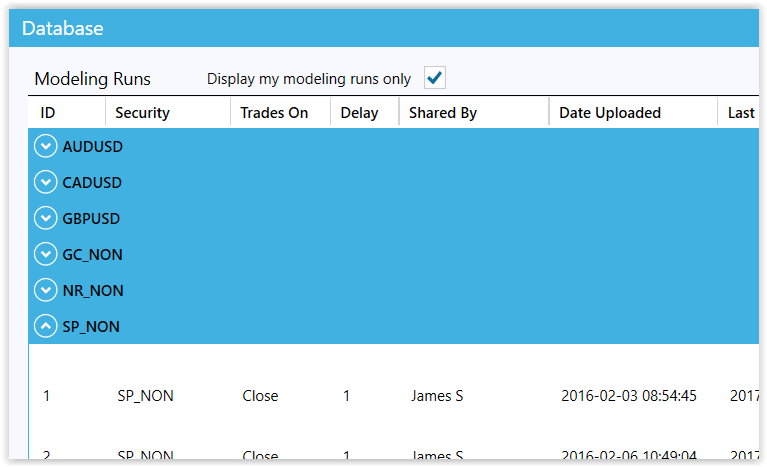 Build multiple models per market and model many markets. Synergy features multi-stage automated model validation. The most important validation test is the walk-forward test. Walk-forward simulations can be run automatically during model building or manually afterwards. Proprietary validation test applied up to the end of the build period. Validation rules applied up to the end of the validation period. Automated walk-forward test applied up to the end of the validation period. The Synergy application interfaces with an online database of modeling runs. Any user can save modeling runs to the database or load them from the database. Loading modeling runs from the database is a similar experience to loading them from a file stored locally. Loading and saving is fast and smooth. The online database provides a good starting point for new users. The potential is there to load modeling runs and export models for use, before doing any modeling runs. 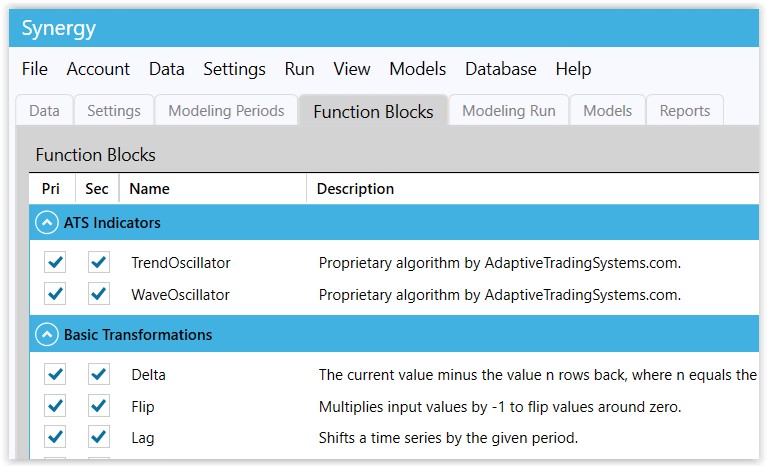 Modeling runs from the database also provide valuable information regarding which data series are useful for modeling a given traded series. 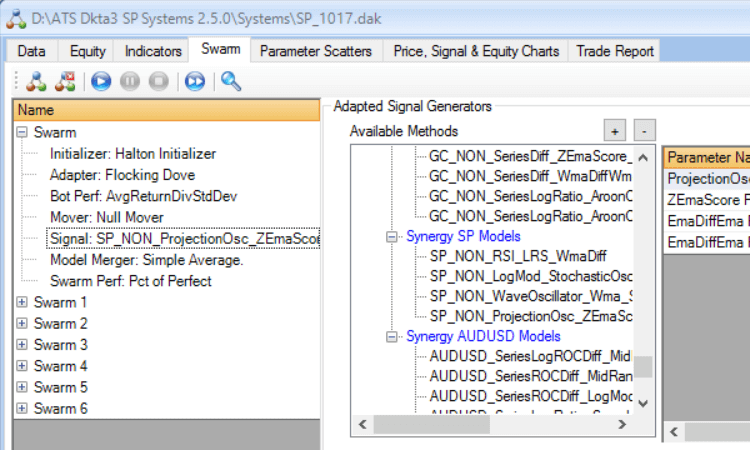 Synergy models can be exported to BioComp Dakota 3, NinjaTrader and MultiCharts .NET. Dakota smoothly adjusts model parameter values walking-forward and is our preferred platform for implementing models that use daily data. Models are exported to NinjaTrader and MultiCharts .NET as indicators that can then be used to build trading strategies. TradeStation will be supported in the near future. No coding is required because Synergy features source code generators that do all of the tricky programming for you. Synergy has the following technical requirements. Windows 64 bit operating system versions 7, 8, 8.1 or 10. Microsoft .NET framework 4.6.2 must be installed. A minimum of 4 GB of RAM. 8 GB recommended. Synergy data sources must be in CSV format with the date/time in the first column. Visual Studio 2015 Community Edition must be installed if you wish to export models as Dakota 3 Signal Generators. 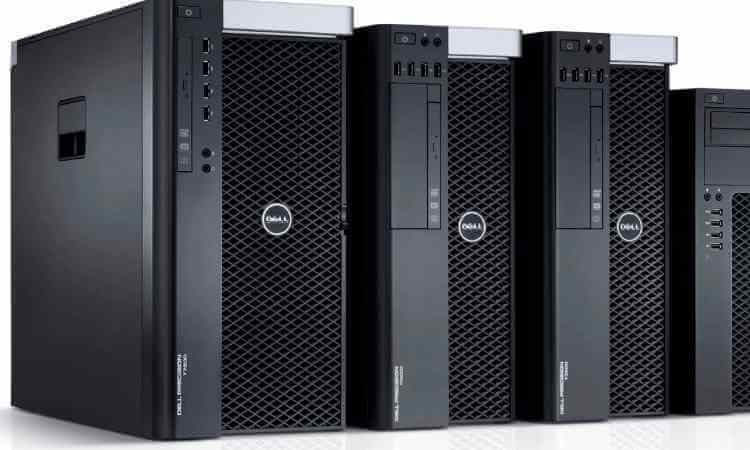 Ideally you would have a computer dedicated to running Synergy. If this isn't possible then running your data mining overnight will suffice. DISCLAIMER: Hypothetical or simulated performance results have inherent limitations. 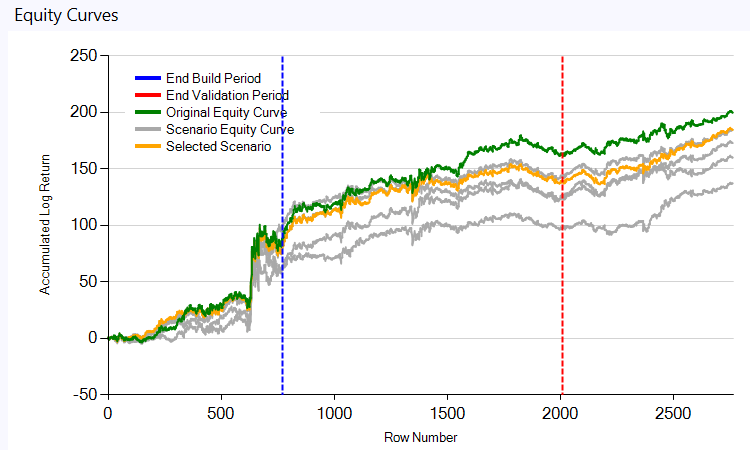 Unlike an actual performance record, simulated results do not represent actual trading. Also, since the trades have not actually been executed, the results may have under- or over-compensated for the impact, if any, of certain market factors, such as lack of liquidity. Simulated trading programs in general are also subject to the fact that they are designed with the benefit of hindsight. No representation is being made that any account will or is likely to achieve profits or losses similar to those shown on this website. Past performance of our trading systems, trading signals and modeling software, whether actual or indicated by simulated historical tests of trading strategies, is not indicative of future results.